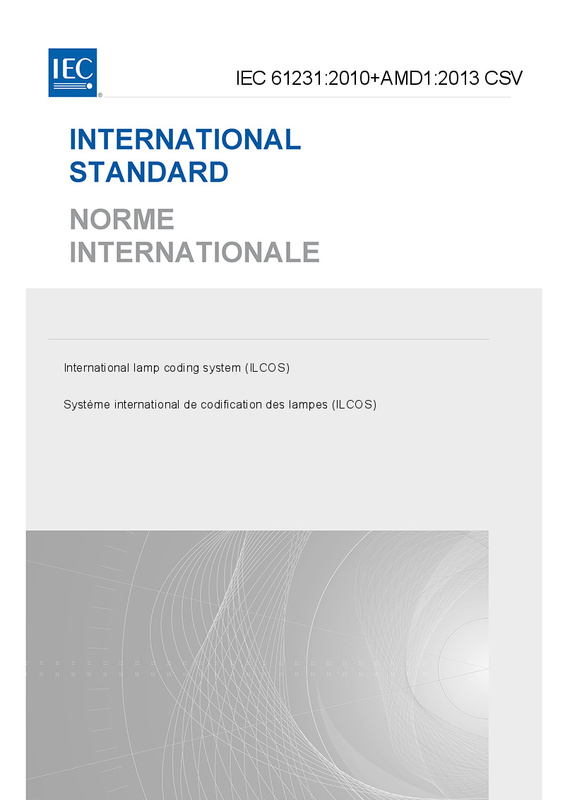 IEC 61231:2010+A1:2013 gives the rules for the international lamp coding system and covers all lamp categories, excluding vehicle lamps. Coding for the main lamp types is specified and, for the others, will follow by amendments to this standard as appropriate. This first edition cancels and replaces the second edition of IEC 61231, published as a technical specification. It constitutes a technical revision, of which the main changes are indicated below: - introduction of LED modules (Subclause 5.8). This consolidated version consists of the first edition (2010) and its amendment 1 (2013). Therefore, no need to order amendment in addition to this publication.